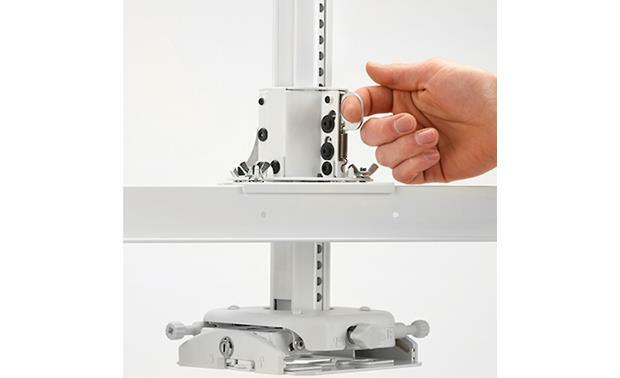 The Chief SYSAU universal ceiling projector mount makes installation quick and easy. By buying this product you'll earn up to 446 Rewards points. 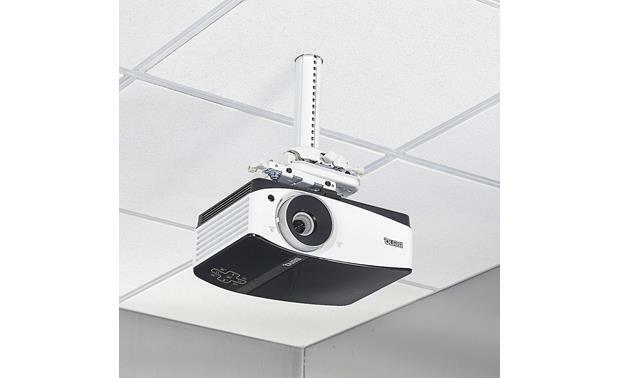 The Chief SYSAU universal ceiling projector mount makes installation quick and easy. 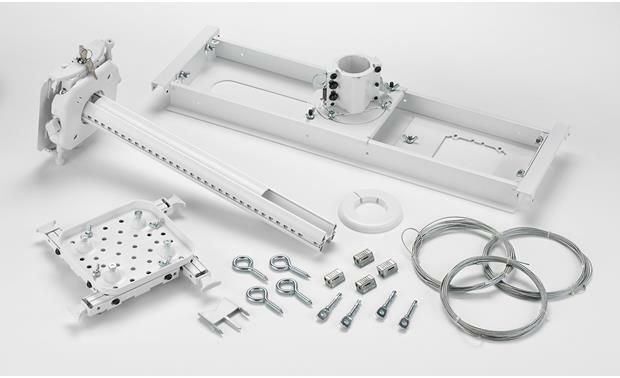 It comes with the projector mount and support column preassembled. The ceiling plate can be placed either above or below ceiling tile. And it's adjustable, to compensate for uneven ceiling tile grids. And you can detach the plate for pre-wiring before installation. You can easily adjust your mounted projector with your fingertips, then lock it into position without tools. The quick-release lock keeps your projector secure, yet makes removing it for maintenance hassle-free. The support column can hold the projector tight against the ceiling, or extend it downs as much as 12”. The support column has two channels for high- and low-voltage cables. The mount's compatible with standard 2-gang electrical mud rings. And the SYSAU is UL-certified for safety. column extends from 0" to 12"
Suspended Ceiling Projector System: Chief's SYSAU Suspended Ceiling Projector System is designed to mount a video projector in a drop-style ceiling. Compatibility: It can support up to a 35 lb video projector, and can be installed in 2' x 2', 2' x 4', 60 x 60cm, or 62.5 x 62.5cm ceiling grids. The Adjustable ceiling plate allows placement above or below tile and accommodates inconsistent T-grids. Its also compatible popular 2-gang adjustable mud rings. Adjustments: The Chief SYSAU comes with an adjustable 0-12" column that also features dual inlay channels for high and low voltage cables. Once mounted, you can adjust the Roll (3°) , Pitch (10°), and Yaw (360°) of the projector. Q-Lock Quick Release: The Q-Lock Quick Release Lever provides quick connect/disconnect oft he projector for service and enhanced security with an integrated key and lock system. Detachable Electric Plate: There is a detachable electric plate for pre-wiring. Searches related to the Chief SYSAU Universal ceiling mount for projectors up to 35 lbs..